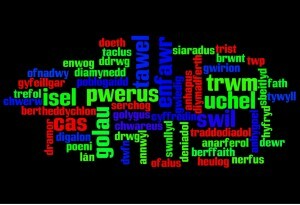 Here are some more ideas for using Wordle in a primary school, contributed by Nic Daniels, one of the Taccle team in Wales. We love this software! It’s so simple to use and the possibilities are endless! We’ve outlined how to use it as a fun and quick lesson warm-up activity. Click ‘create’ on the Wordle homepage. Either type or cut and paste the focus text in the large white box. This can include topic vocabulary, spelling lists, poems or text extracts from books, to name but a few sources. Here, we’ll describe how to use it for spelling and vocabulary games e.g. put adjectives you’d like to revise in the box and press ‘Go’. It will create a Wordle using the words you’ve provided. Display the Wordle on the interactive whiteboard for a set time (30 seconds is usually enough) and the learners must make a record of as many words as they can in the allotted time. Be sure to select ‘Horizontal’ or ‘Mostly Horizontal’ in the ‘Layout’ tab, this is less confusing for younger pupils. Select a suitable font by clicking on the ‘Font’ tab – ‘Vigo’ or ‘ChunkFive’ are the better, less fussy fonts. Lastly, if you have pupils who prefer coloured screens as opposed to the harsh white, click on the ‘Colours’ tab and choose one of the schemes that are set to a dark background e.g. ‘yramirP’. For a whole class activity, an interactive whiteboard or projector is pretty essential. You can however create Wordles for pupils to use individually or in pairs on a PC. Timing device – I used an egg timer! But a clock, watch or stop-clock would do the same job. This is one online resource that takes less time to create than doing similar activities non-electronically. Not only is it quick, but it’s endlessly adaptive! To create something similar on a poster or a conventional writing whiteboard/blackboard would take at least an hour. This is done and ready to use in under 5 minutes! 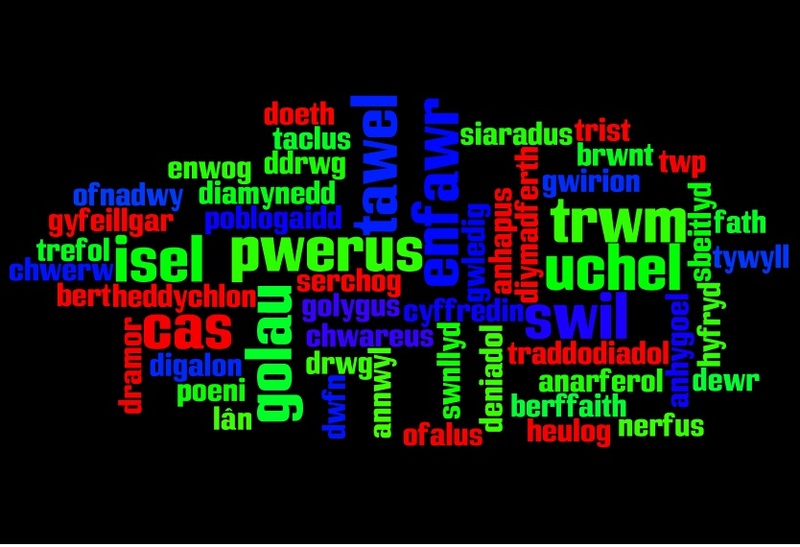 Beforehand, you may like to create a Wordle and ask learners which colour scheme, font and layout makes it easier for them to recognise the words. This is especially important if you have learners who read books using a coloured visor. The more words you use, the more complex the Wordle, so for younger learners you may choose only 10 words. You can use the same word as many times as you want, this can also simplify the activity. it really kick starts the lesson, ensuring learner engagement for the beginning. you can save your Wordle and use it again and again. Learners could use the Wordle to write a quick verse, using their own words to fill gaps if required. E.g. A quick and easy way to revise poetry writing skills? Also a possible activity to leave a supply teacher when you’re on a course? I knocked this one up quite quickly. Would probably need more words to work really well. Very cool! It would be a wonderful site map for a website as well. Click on a word and open up the results page for that search. Thanks for showing this to me. I am sure I will share it with my students. glad you like it Arjen – let us know how you get on and send us a picture of your wordle and we’ll use it instead of the one above. By the way, although you can save your wordle, you will need to take a screenshot if you want to send us the image. We were also interested in your comment about the site map – couldn’t use wordle but we have now put a tag cloud on the site which works like you suggested – click on the words you are interested in. It will take a while for me to add all the tags but watch this space! !